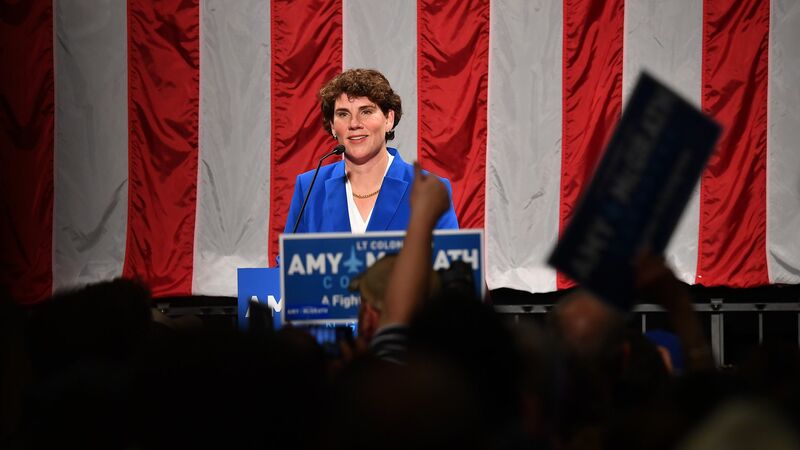 Senate Minority Leader Chuck Schumer has been trying to encourage Amy McGrath, the first female U.S. Marine to fly in an F-18 during combat, to challenge Senate Majority Leader Mitch McConnell in Kentucky next year, Politico reports. Yes, but: McGrath failed to win her House bid last year, and Kentucky Republicans believe they have a playbook for how to defeat her again in 2020. Politico reports that McConnell's team is already conducting opposition research against McGrath while senior Republicans are set to meet in Washington about a potential campaign against her.